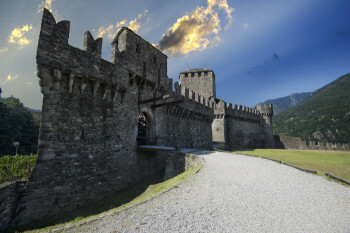 Ancient walls, impressive towers, and exciting history - Bellinzona has it all. 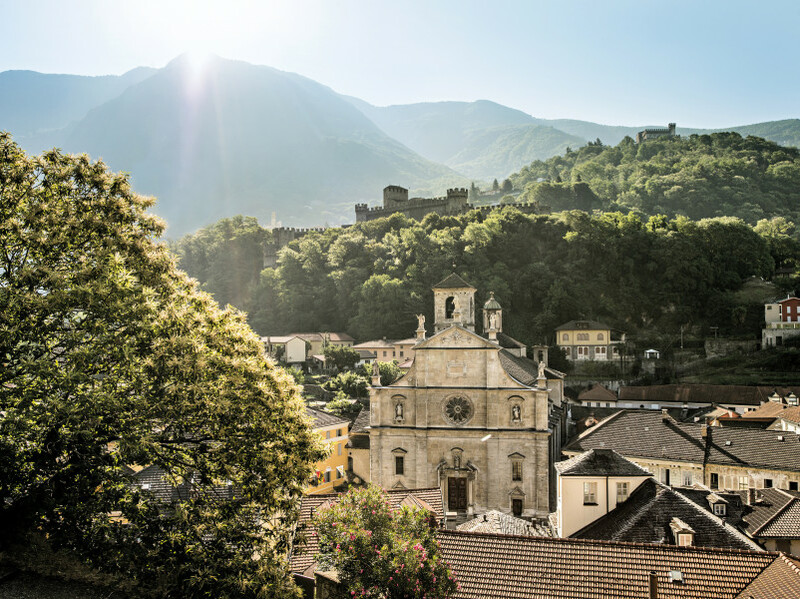 Three castles grace the hills around the capital of the Swiss Canton of Ticino. All three of them were declared UNESCO World Heritage sites together in 2000. 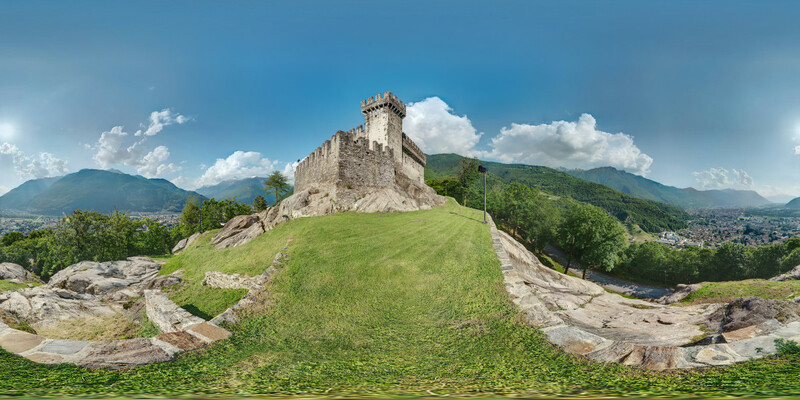 Within walking distance of each other, but also connected by little castle train Arthur, Castelgrande, Montebello, and Sasso Corbaro make for a great day trip back to medieval times. Let us introduce to you each of the Tre Castelli in a little more detail! © swiss-image.ch Castelgrande provides the perfect atmosphere for all kinds of events. Castelgrande is located the closest to the city centre, and is also the oldest of the three castles: the first fortification was built here as early as in the 4th century. And you can tell its long and winding formation history by the look of it. Various architectural eras have left their traces on its walls. With its two towers, both nearly 100 feet tall, Castelgrande significantly shapes Bellinzona's townscape. By the way, if castles only make you think of dusty suits of armour you're completely in the wrong. Castelgrande always has something going on. Open air events from concerts to film screenings are held here regularly, and the fort even has its very own escape room. © swiss-image.ch/TT Montebello is situated on a small hill above the city. Only a few steps further you'll get to Montebello. The triangular fort dates back to the 13th to 15th century. It owes its towers to the Sforza. Initially used for defensive purposes, Montebello castle is now home to the regional museum of archaeology. 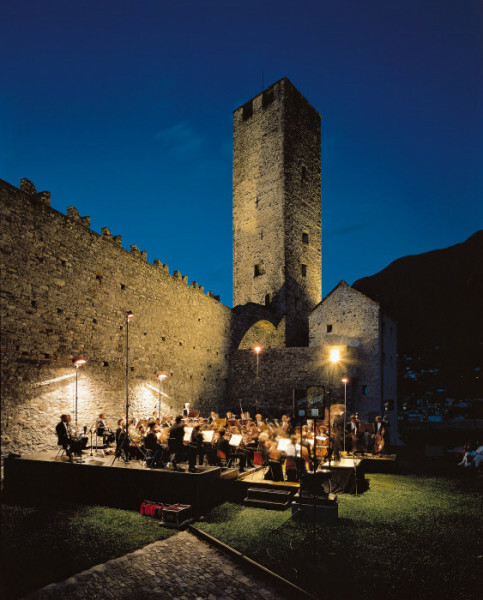 Montebello Festival takes place here every year organised by the city of Bellinzona in cooperation with the local tourist office. The festival first kicked off in 2005, and brings together international guests and artists for a special musical event in unique atmosphere. © swiss-image.ch/Edmondo Viselli Its geometrical shape makes Sasso Grande a typical Sforza castle. Just south-east of the city centre you can find the third of the Tre Castelli, Sasso Corbaro. With its strictly geometrical architecture, it is a typical Sforza castle. Built between 1479 and 1482, the fortification is mainly characterised by its watch tower as well as the massive main tower. Within its thick walls you can find various interesting permanent and temporary exhibitions where you learn more about the history of the castles. As the highest of the three castles, Sasso Corbaro also features the best view: look north, and you can see all over the city and Riviera valley over to Pizzo di Claro. Look south, and you can see as far as to Italian Lago Maggiore.